A paisley design is a classic, allover quilt design that works well on many different quilt tops. Angela Walters shows you how to do it! 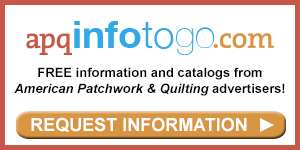 "Hi, I'm Jennifer here with Angela Walters, Handi Quilter's ambassador of machine quilting. Angela, today we're working on the sit-down long arm machine and you've got an allover design to share with us that's quite popular." "Absolutely! It's the paisley design. And this was one of the first designs I learned when I started quilting over ten years ago. It's a great classic design that works on a ton of different quilts, and it's actually very easy to quilt. And the great thing about it is everybody has their own variation of it--their own handwriting, I like to call it. 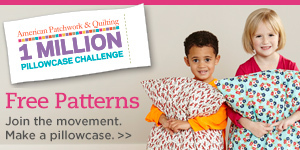 I'll show you how I quilt mine, but chances are yours will look maybe just a little different." "I like to sort of think of it as a simplified feathered design. If you haven't graduated all the way to feathers, the paisley design is one that you can start out with." "Exactly. I kind of think of it as elongated tear drops. You can work them around and kind of curve them in the way you want them to go." "Alright, let's see you stitch it up." "Alright. Like any other meander, you're just going to quilt the shape and echo as many times as you like. Some people echo more than others--like I said, it just depends on your handwriting. The basic design starts with a teardrop shape that you echo, and then you can go on and quilt the next one. And the variation I was talking about is just that everyone has their own way of making them. See mine are kind of longer and curve over a little more, whereas other people make theirs slightly different. That's what's great about it, because you can really get a neat looking one designed that's kind of your own little variation." "And you're not necessarily coming back to that same point where you start every time, you're just filling in the background." "Exactly. And I found that kind of curving them around this way really kind of helps fill that area and helps give the paisley a little bit of movement to them instead of making them so static and pointing the same way. And you can easily change up the size of them, as well. I like to quilt my quilts until they're dead. 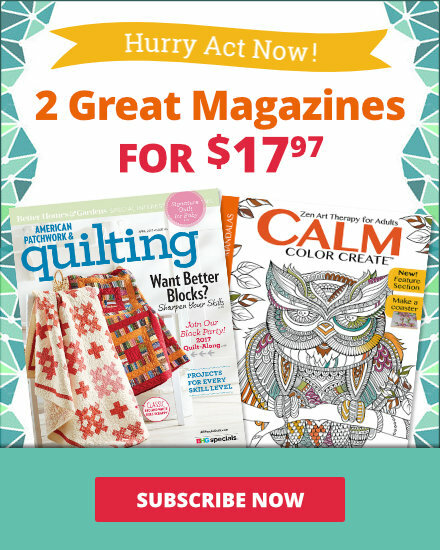 But you can quilt them bigger and farther apart for a less dense quilt design." "The more, the merrier." "Exactly." "Paisleys--they're practically perfect in every way. 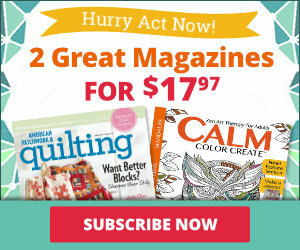 Stitch some out on your next quilt top."